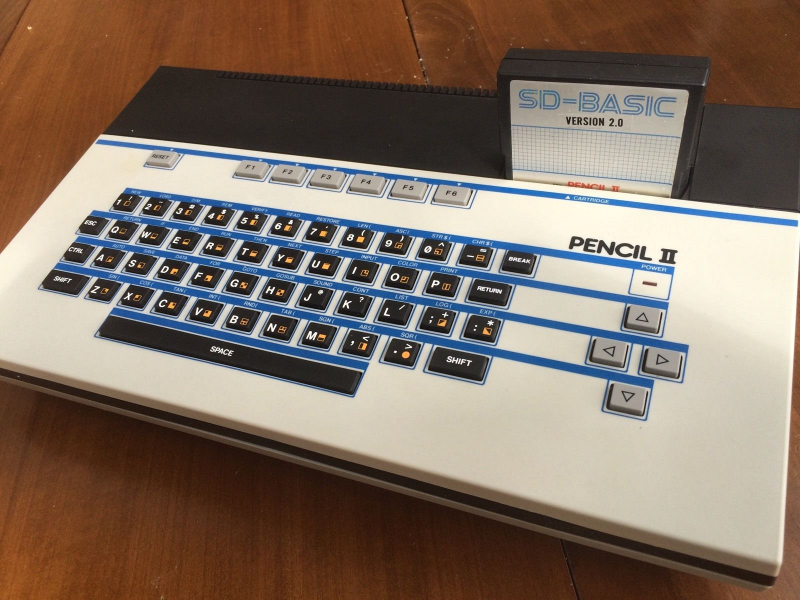 Australian (but Hong Kong made) 8-bit micro Hanimex Pencil II is an obscure and quite frankly lovely Z80 based computer, that was released back in 1984, and is pretty hard to come across these days. The machine came with 18kb of RAM (expandable to 80kb), 3 channel sound, 16 color graphics, the CP/M operating system, and a rather impressive range of expansion modules ranging from disk drives to a Colecovision emulator. Interestingly, a finely preserved and boxed machine of the sort has appeared on eBay, and you can bid on it via this Hanimex Pencil II auction. The micro comes in its box, with poly inserts, power supply, all necessary leads, SD-BASIC cartridge, demo tape, and the 16k RAM expansion.